Looking for deals in Hanoi? Attractively set in the Hoan Kiem of Hanoi, Hanoi Cristina Hotel & Travel has air-conditioned rooms, a bar and free WiFi. Nice location. Very friendly and accommodating staff especially Lee and Lily. I would recommend this hotel and would definitely come back. Located in the Hoan Kiem district Hanoi La Storia Hotel offers accommodations in Hanoi. Guests can enjoy meals at the in-house restaurant. Free WiFi is available in all rooms. Great location in the heart of the old quarter. Breakfast was good with plenty of choices. Friendly and helpful staff. Clean modern hotel. Set in the Hoan Kiem district in Ha Noi, The Light Hotel is just 984 feet away from St. Joseph Cathedral. Well positioned hotel with excellent sound proofing in room from hustle and bustle of busy Hanoi streets. All staff very friendly and happy to offer tourist tips. We loved the rooftop pool. After complaining about our deluxe twin room only having internal window the staff were quick to resolve the problem. Our room was compact but practical. A very comfortable bed and pillows with effective aircon. Lovely, comprehensive breakfast. Hanoi Bella Rosa Suite Hotel is located in Hanoi's Old Quarter Area and within 1-minute walk to Thang Long Water Puppet Theater and Hoan Kiem Lake. Free WiFi can be accessed in all areas. Location is great. The staff were wonderful, especially Miss Any who was very friendly and helpful when we arrived. Conveniently located just 1312 feet from St. Joseph Cathedral and 2297 feet from Ngoc Son Temple in the scenic Hoan Kiem district, O'Gallery Premier Hotel & Spa offers a range of elegant... Staff super nice. Good advices upon our arrival. Overall very good experience. Will definitely stay again at this hotel. Located in Hanoi’s Old Quarter, The Hanoian Hotel is just 3 minutes’ walk from Dong Xuan Market and the weekend night market. Providing free Wi-Fi, its rooms have laptops and flat-screen TVs. The staff, they are friendly and very helpful. Centrally located in the charming Old Quarter, L' Heritage Hotel Hanoi is a short 5-minute walk from Hoan Kiem Lake and the Temple of Literature. Its modern air-conditioned rooms come with free WiFi. Very helpful front desk people. Arranged whole trip by them. Cleaned and comfortable rooms. Polished wood and chandeliers set an elegant mood at Hanoi Marvelous Hotel & Spa, a 5-minute walk from Hang Da Market and Gallery in Hanoi’s Old Quarter. Staff is really amazing, specially the front desk staff and the cleaner at the lobby. Located 328 feet from Dong Xuan Market, Dragon Pearl Hotel features modern Vietnamese architecture and décor. It offers free Wi-Fi, 2 dining options and rooms with a flat-screen TV. Helpful staff, delicious breakfast, confortable location. 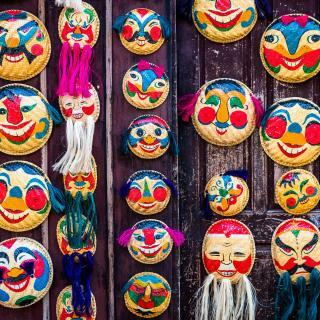 Located in Hanoi, a 5-minute walk from Thang Long Water Puppet Theater, Hanoi V Maison Boutique Hotel provides a terrace. Staff very nice and helpful, big comfortable bed. Offering free WiFi and a bar, Hanoi L'Heritage Diamond Hotel & Spa offers rooms in Hanoi, a few steps from St. Joseph Cathedral. We had a lovely time at this hotel. Wonderful accommodations and super friendly and helpful staff. Conveniently located in the famous Old Quarter, Hanoi Focus Hotel offers modern and comfortable accommodations within 820 feet from Hoan Kiem Lake. Truly excellent value for money. Clean and a unique place to stay. Five star recommendation. In the heart of Hanoi's Old Quarter, the Hanoi Pearl Hotel is conveniently located just a short walk to the renowned Hoan Kiem Lake. The hotel was convenient to restaurants and shops. Located in the heart of the famous Hanoi Old Quarter, Hanoi Diamond King Hotel is a convenient 5-minute drive from the bustling Dong Xuan Market. Mr. Lee and all staff were very helpful, nice and friendly. Hanoi 3B Premier Hotel is located along Hang Than Street at the top end of Hanoi's Old Quarter. All rooms are air conditioned and provide free WiFi internet access. The staff were friendly and inviting. Less than a 1-minute walk from the beautiful Hoan Kiem Lake, Royal Holiday Hanoi Hotel offers affordable rooms with free Wi-Fi and views of the lake or city. Everything is amazing. Couldn't ask for better hotel. Bonsella Hotel is a 2-minute walk from Hoan Kiem Lake and a 5-minute walk from the weekend night market. It features a restaurant, a small business center and free Wi-Fi access. The staff are excellent. The room is clean and comfortable. The Pilgrim Hotel has rooms in Hanoi near Trang Tien Plaza and St. Joseph Cathedral. This 3-star hotel offers free WiFi. The property is a 9-minute walk from the city Hoan Kiem. I strongly recommend the hotel. The location is in the city center but on a quiet street. A 2-minute walk from scenic Hoan Kiem Lake, Meracus Hotel 2 features modern guest rooms with free Wi-Fi and daily fruits. On Hang Trong Street, it also provides free fax and copyrighting services. From the kind welcome to the small details, Meracus 2 is an outstanding gem in Hanoi. Located in Hanoi, Hanoi Central Hotel & Residences offers air-conditioned rooms with free WiFi. Well located in the Hoan Kiem district, this hotel is set 0.7 mi from Thang Long Water Puppet Theater. new place, just opened for a month. Very clean, nice and helpful staff. Just 246 feet from Hoan Kiem Lake in Hanoi’s Old Quarter, Golden Sun Villa Hotel offers spacious and air-conditioned rooms and suites with free Wi-Fi. A restaurant and 24-hour front desk is available.... It’s inside city and quite silent one. Staffs are damn good and friendly. Located an 11-minute walk from St. Joseph Cathedral, S Central Hotel in Hanoi has rooms with air conditioning and free WiFi. This 3-star hotel offers a terrace. Great hotel, nice room, very pleasant staff and good breakfast. Highly recommended! 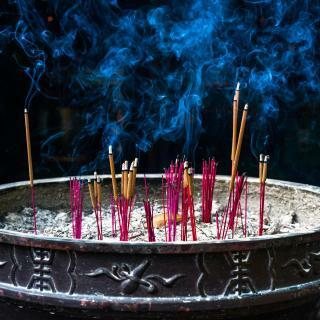 Which neighborhood is the best one to stay at in Hanoi? Ba Dinh, Hoan Kiem, and Dong Da are popular with other travelers visiting Hanoi. Which hotels in Hanoi are good for couples? These hotels in Hanoi are highly rated by couples: Royal Holiday Hanoi Hotel, Hanoi La Castela Hotel, and Hanoi Golden Holiday Hotel. On average, it costs $193 per night to book a 3-star hotel in Hanoi for tonight. You'll pay around $117 if you choose to stay in a 4-star hotel tonight, while a 5-star hotel in Hanoi will cost around $261, on average (based on Booking.com prices). Which hotels are the best ones to stay at in Hanoi? Hanoi Golden Holiday Hotel, Hanoi Bella Rosa Suite Hotel & Spa, and Golden Legend Diamond Hotel are some of the popular hotels in Hanoi. What are the best hotels in Hanoi near Hanoi Opera House? Some of the best hotels in Hanoi near Hanoi Opera House include Sofitel Legend Metropole Hanoi, Silk Path Boutique Hanoi and LeGia's Hostel. Which hotels in Hanoi are good for families? Many families visiting Hanoi loved staying at Bonsella Prestige Hotel & Spa, Royal Holiday Hanoi Hotel, and Hanoi La Castela Hotel. The average price per night for a 3-star hotel in Hanoi this weekend is $124 or, for a 4-star hotel, $241. Looking for something even fancier? 5-star hotels in Hanoi for this weekend cost around $376 per night, on average (based on Booking.com prices). What are the best hotels in Hanoi near Noi Bai International Airport? Travelers who stayed in Hanoi near Noi Bai International Airport (HAN) have said good things about Family Hotel Soc Son, Airport View Hotel, and Phuong Nam Noi Bai Airport Hotel. Which hotels in Hanoi have nice views? Noble & Swan Boutique Hotel, Hanoi La Castela Hotel, and L' Heritage Hotel Hanoi got great room view-related reviews from travelers in Hanoi. Which hotels in Hanoi offer an especially good breakfast? For hotels in Hanoi that serve highly-rated breakfasts, try Hanoi La Castela Hotel, Royal Holiday Hanoi Hotel, and Hanoi Bella Rosa Suite Hotel & Spa. How much does it cost to stay in a hotel in Hanoi? On average, 3-star hotels in Hanoi cost $45 per night, and 4-star hotels in Hanoi are $84 per night. If you're looking for something really special, a 5-star hotel in Hanoi can be found for $183 per night, on average (based on Booking.com prices). 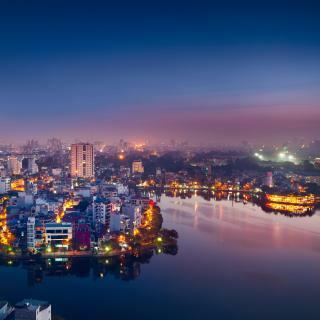 Rich in history and tradition, the dynamic city of Hanoi is the capital of Vietnam and an important cultural center with ancient and modern beauty. On the banks of the Red River, Hanoi features green parks, imposing temples, picturesque lakes, interesting shopping centers and stunning architecture. Home to various interesting museums and attractions, this vibrant metropolis can be explored by bicycle, motorbike or even on foot. Discover the majestic Ho Chi Minh Mausoleum, the Buddhist temple of One Pillar Pagoda and the colonial Grand Opera House. The famous Hoan Kiem lake, with its scenic small bridges and pagodas, is according to the legend the place where a turtle appeared to Emperor Le Loi and gave him a sword to fight the invaders. On the banks of the West Lake, the historic pagoda of Trấn Quốc is the oldest in Hanoi. 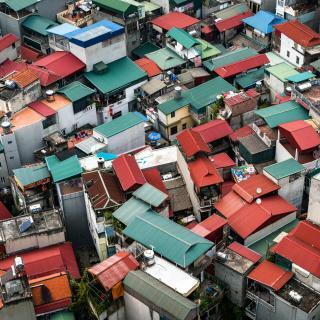 Wander around this fascinating city, savor delicious Vietnamese dishes, explore the colorful markets and mingle with the locals. 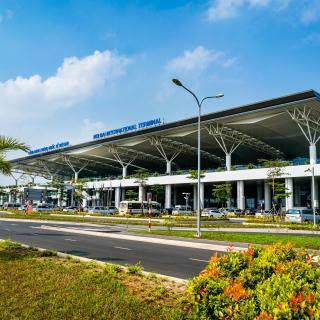 Noi Bai International Airport is 22 miles away from Hanoi and considered to be the biggest airport in northern Vietnam. Booking.com offers a wide selection of hotels, hostels, apartments and guesthouses in this unique city. Easily walkable city, especially in the Old Quarter. With more manageable heat and humidity, and without our little ones, Hanoi would be a lot more enjoyable for me. The atmosphere is so unique and the streets are filled with history and charm. Watch out for motorcycles and lots of smoke! Check out Old Quarter, the water puppet theatre, and all of the s historic sites. Great food and great architecture make this city worth a visit. I was here for 3 days but that was already too much. I was here for 3 days but that was already too much. Most of the highlights can be seen in just 1 day but the city itself is really cheap as people to use price tags instead of having to bargain for everything. Use your holidays to extend your stay at places like Ninh Binh or Sapa. 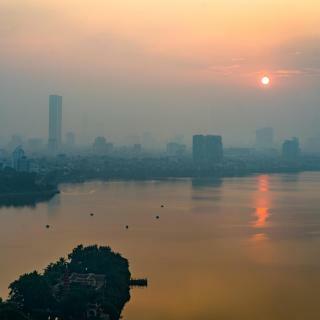 Hanoi is a beautiful city, the capital in Vietnam. Hanoi is a beautiful city, the capital in Vietnam. I was so interested in Hanoi. If you travel to Hanoi, you should try to go some famous place, such as: One Pillar Pagoda, Tran Quoc Pagoda, Hoa Lo Prison, Hoan Kiem lake.... OMGGGG. It has a lot of place to visit. Hanoi has reputation for cuisine. I loveeee food in Hanoi. Rundown polluted city, mostly slums and disrepair. Rundown polluted city, mostly slums and disrepair. No landmarks and architecture to talk about (with an exception of Literature Temple). Crowded streets, great people watching and nice nightlife (until 10 pm). The street food is fantastic! Everything is very cheap. The city is safe and people are very friendly. Would not recommend for family with small children but great place for backpackers. In one word: Chinatown on steroids. Great location in the old quarter Hanoi. The rooms at this hotel were perfectly clean and offered anything you need for your stay in Hanoi. Able to rent motorbikes, plan day trips, coordinate transportation and had a great breakfast to start your day everyday. Staff spoke English well. Tea and coffee always available. Best part was the warm and accommodating staff at the reception desk, always looking to help with restaurant recommendations or anything you need help with. Always with a friendly smile. Great price. I would stay again. Hotel really nice and staff super friendly. Anna and her colleagues ensured we had a comfortable night, they let us check in early after the long flight and were great helping us change dates of bookings when our plans changed. The room super cosy and clean, very tasty breakfast. Location prime, close to Old Quarter and walking distance to major sights. It felt like staying at the 5 start hotel but with the family and friendly feel of a homestay. Really enjoyed my stay here and cannot imagine staying anywhere else when in Hanoi. The personalized service from the hotel staff, from the doorman, to the service desk, the concierge, to the wait staff, everybody went out of their way to meet our needs and exceed our expectations. Also, the location in the Old Quarter: it is close to most tourist attractions, yet it is in a more secluded area, making it the best of both worlds. The amenities and the facilities are awesome: the combination of luxury, comfort and affordability makes the Hanoi Pearl a winner in every way. A true gem in the heart of Hanoi. Located in the heart of Hanoi's old quarter the location of this homestay is hard to beat. However, even better than the location is the owner and her family, they are AMAZING hosts. They made us feel at home right away by offering us tea and coffee and inviting us to stay for dinner, which was delicious! 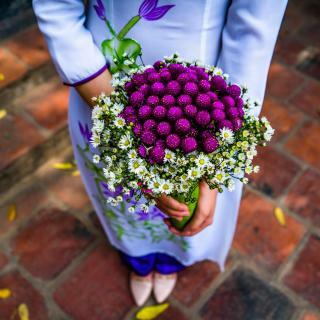 They are very helpful in suggesting things to do in Hanoi and they can help book other trips around Hanoi and within Vietnam. Next time I need a hotel in Hanoi this is where I'll stay. Highly recommend! Location was spot on. Walking distance to most of the tourist attractions around Old Quarter. 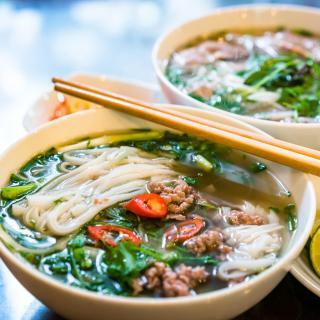 Food wise, you don't need to venture far to find some good Vietnamese food. The best part is how Marcus welcomes you to the hotel. Hit him up for pretty much anything - where to eat and what to visit. Marcus will be more than happy to help you out. He even organised our Halong Bay trip which was a bit cheaper than what was offered elsewhere. Would definitely be back at Icon 36 when I visit Hanoi next. Property is centrally located, walking distance to almost every where around Old Quarters Hanoi. Hotel reception area beautifully decorated. Room was amazing, street facing with window, but surprisingly very well insulated. Best off all have got to be the service from the hotel staff, hands up 5 Star service. Everyone was extremely helpful and will go all out to attend to all our needs. Will definitely be our 1st choice the next time we visit Hanoi, no doubt. This hotel has given all what we need. A perfect location to easily explore old quarter. A room beautifully made, bed and linens are comfortable. Delectable breakfast served and most of all staffs that are very helpful and accommodating at all times. They even prepared some goodies coz we told them we were on our honeymoon! They were one of the reasons why we had an amazing honeymoon in Vietnam. A really worth it hotel to stay in Hanoi. This was the best hotel experience I have ever had. The most amazing helpful staff, who helped us so much to make the most of our stay in Hanoi. Beautiful rooms, everything was very clean, awesome breakfast with a great selection. The location can't be beaten, in the ultimate spot of the Old Quarter. We will definitely stay here every time we are in Hanoi. Thank you so much Maggie and the team at Hanoi Bella Suite Hotel! Location is fantastic. Though it is on one of the small lanes in the old quarter, it's in the most happening area of Hanoi. Hotel is surrounded by good restaurants & bars, shops, massage centres and street food joints. It's very close to the lake. The staff was very courteous and helpful. Best thing was that they could understand and speak English. Highly recommended for tourists. This is absolutely the best hotel in Hanoi! Brand new, decorated in a mix of colonial trendy style, perfect location in a quiet, green area (just a few steps away from the noisy Old quarter), most comfy beds ever, delicious breakfast, rooftop gym and pool. And most importantly, the entire staff is overly friendly and professional. Don’t miss out on this experience during your visit to Hanoi!! Luxury Old Quarter hotel was not big like 5 star hotel. But if you travel around Hanoi, it's one of the best way to stay here. Room was very clean and new. Especially every staff was very kind and helpful. If you have some problem with your trip in Vietnam, ask to Hotel Manager Mr. Martin. he will help you everything. Thanks to you,We got a good memory in Hanoi. If you are planning to stay in Old Quarter - thats the place to stay. I staid in different hotels around but this one is the best as a hotel, area around is most friendly and clean in Old Quarter. Great staff, they are really trying their best and quality of service is better than in majority 5 star hotels!! Amazing breakfast!!! All was great!!! Thank you guys. Nice hotel with good location.Hotel belong Hanoi the old quarter very convenience to have most of attraction ,bar, restaurant ,tourist places.Room was clean and lucky to had upgrade with balcony room.. Breakfast was fantastic with lot of choices. We spend lovely trip in Ninh Binh and Ha Long Bay organized from hotel . Thank you to Hanoi Elpis team! The best thing about the Hanoian Hotel is its staff. Kate and her team are absolutely superb. Even before we arrived they were incredibly helpfull with local tours, taxis, transfers etc. A 5 star hotel would be happy to have this team. The hotel is located on the outer (quieter) edges of the old quarter, which is a blessing. This hotel is amazing with brand new rooms and it feels like a 5 stars hôtel in the middle of the old quarter , location is perfect, close to all famous place in Hanoi, a special thanks to mrs. Kim who took care of us during our stay. FYI Mrs. Kim will book for you the best tours and the best cars for airport shuttle. This hotel is in the best location. In the old quarter Hanoi, it is next to absolutely everything you could want to see, plus many great food locations. This hotel is brand new (Nov 2018) so everything is immaculate. Staff are beyond helpful, definitely look at staying here. Great new hotel in the middle of Hanoi's old quarter. Absolutely amazing buffet breakfast, best we had in our trip in Vietnam. Staff is helpful to book busses and tours. Would book here again when visiting Hanoi. Very pretty boutique hotel on the edge of the French Quarter in Hanoi. It’s located in a posh area and is just 1 km from the hustle and bustle of the Old Quarter, which worked out perfectly. Beautiful brand new hotel, extremely nice staff, amazing rooftop bar, perfect location. I highly recommend the suite with private balcony. Probably the best hotel in Hanoi Old Quarter! Excellent customer service, nice hotel ambiance , location within the old quarter - I had the best stay in Hanoi.